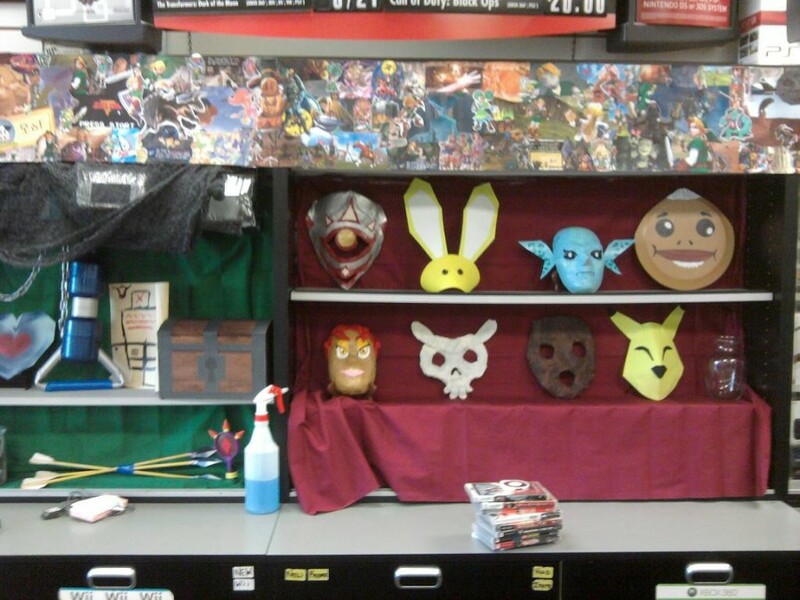 A GameStop in Ellijay, Georgia is going all out for their Ocarina of Time 3D launch party. 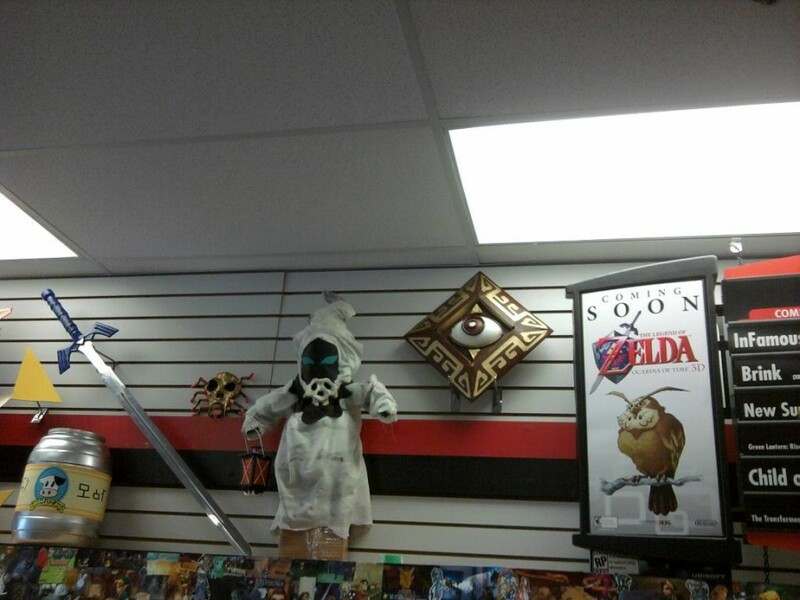 They’ve decorated the entire store with an assortment of Ocarina of Time 3D goodies and their store manager is even wearing the bunny hood mask! 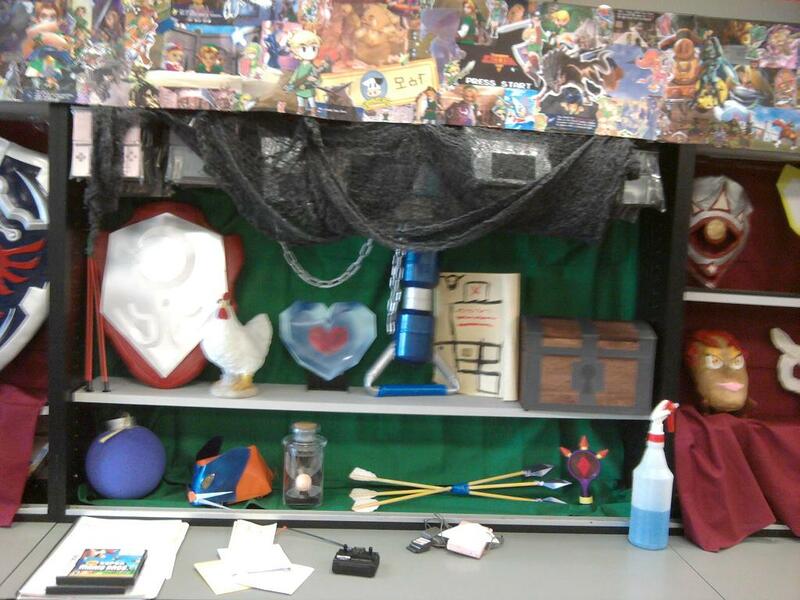 You can click the image to the left to see a larger image, but jump inside to see a whole bunch of other goodies! 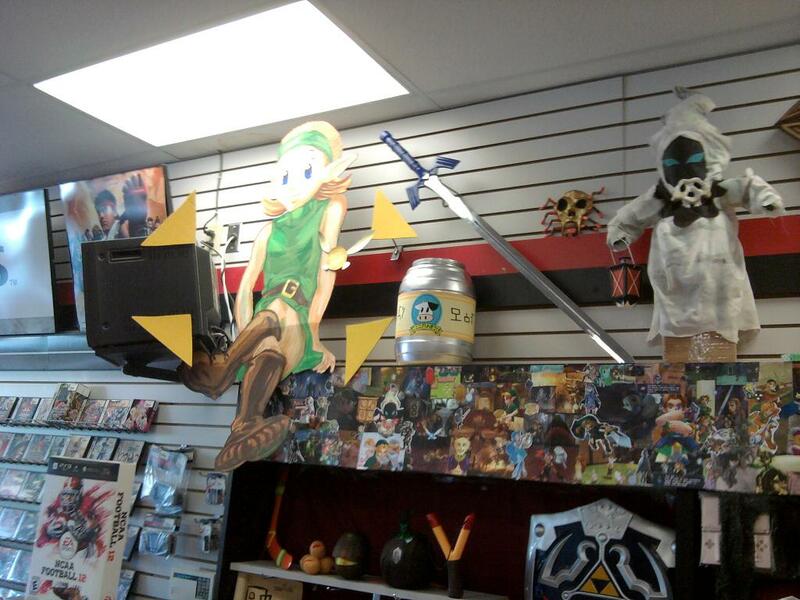 Ocarina of Time 3D is out TODAY in Europe and will be hitting stores across the United States in less than 24 hours! If you got the game already and need any help, be sure to check out our Ocarina of Time 3D Walkthrough. Unfortunately given the relatively low install base of the Nintendo 3DS, the Ocarina of Time 3D release wasn’t big enough to hold launch parties across the country. 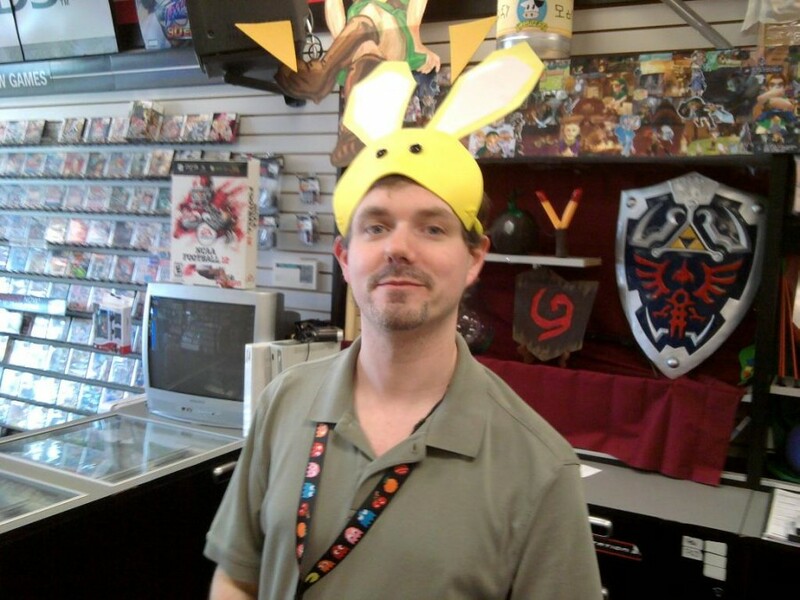 Only select locations will be holding midnight launch parties, with some GameStops opening early on Sunday morning. 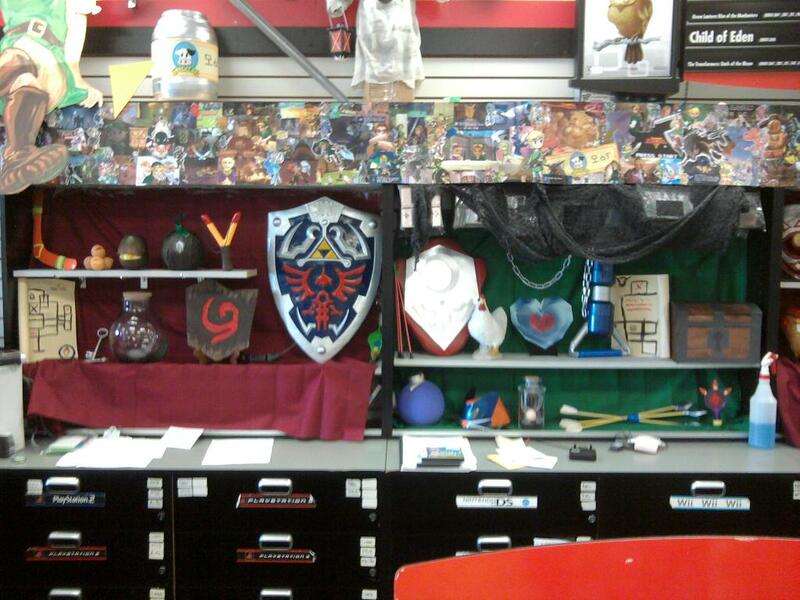 Be sure to check with your local GameStop to find out exactly how soon you can get your hands on Ocarina of Time 3D.